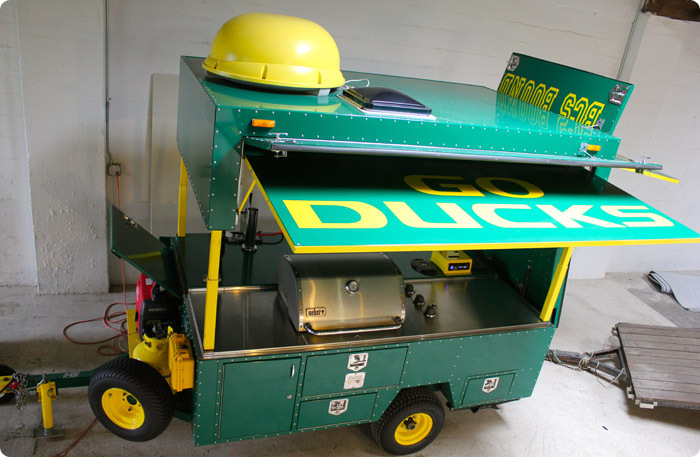 This customized Ducks trailer was built from scratch per the request of a devoted Oregon fan. Equipped with a flat screen TV, kegarator, sound system, refrigerator, bbq, and stainless steel counter tops, this trailer rolls up to the games in style. 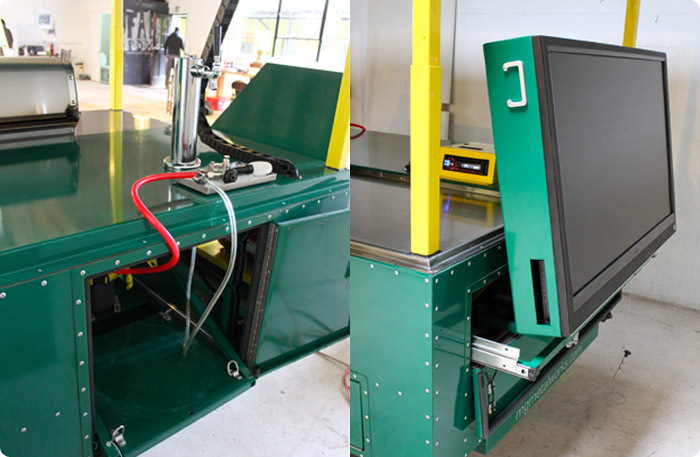 Complete with keg hook-ups and a fold out TV to watch the big game!